Galina graduated from the Faculty of Cybernetics, Department of System Analysis of the National Research Nuclear University MEPhI in 1983 with a M.Sc. degree with distinction in Applied Mathematics (thesis topic "Development of interactive procedures of expert estimates by the method of cross-comparisons"). Then she worked as a system engineer at the PromNIIProekt (now VNIPIpromtekhnologii), Moscow, Russia. From 2001 she was a researcher at the IT Institute of Kanazawa Institute of Technology, Tokyo, Japan. She received her PhD Degree in Engineering from Kanazawa Institute of Technology, Japan with the thesis titled “Shape Modeling with Some Applications to the Cultural Preservation” (2005). 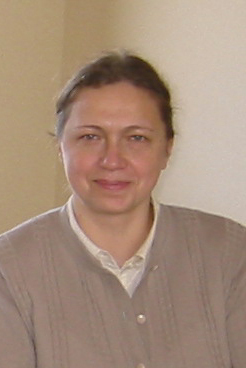 In February 2006, Galina started her teaching career as an Assistant Professor of the Department of Computer Science at Al Ghurair University, UAE. From 2007 she was the Head of the Computer Science and Information Systems Department of the University of New York/ Tirana (UNYT), Albania. As an Associate Professor she taught undergraduate courses of the UNYT and advanced courses of the International Program of the Empire State College of the State University of New York, USA. In 2008-2010 she was the Head of Software Engineering Department and an Associate Professor of the Department of Computer Engineering, Faculty of Architecture and Engineering of European University of Lefke/ Cyprus. In 2010-2011 Galina was an Associate Professor in and a Program Leader of Computer Animation MSc Program of the University of Wales, British Institute of Technology and E-Commerce (BITE), London, UK. and includes supervising graduation projects. The blending localization problem was investigated and an original solution allowing for blend localization completely inside an additional bounding solid was proposed. This results in support of such unusual operations as multiple blending and partial edges blending, which hardly can be supported by other blending techniques. A new approach was introduced and analytical formulations for shape metamorphosis on the basis of the dimension increase, bounded blending between higher-dimensional space-time objects, and cross sectioning the blend area for getting frames of the animation were proposed. The proposed original approach can handle non-overlapping 2D and 3D shapes with arbitrary topology defined by input polygons, set-theoretic or analytical expressions. A new model of two-dimensional manifolds with boundaries for implicit complexes was proposed: an implicit surface trimmed by a set-theoretic operation with a trimming solid. The algorithm of trimmed implicit surface polygonization extends conventional polygonization algorithms by including a trimming solid or surface and adapting the polygonal mesh to the 2-manifold boundary. The proposed adaptive solution significantly accelerates polygonization. Applications of the algorithm include cultural preservation, computer-aided design, and heterogeneous object modeling. The proposed methods and algorithms have been applied in several case studies. The bounded blending operation was used in modeling traditional Japanese lacquer ware in the Virtual Shikki project, which has resulted in a Web site with 3D models in HyperFun and VRML formats. The proposed space-time blending was used in the presented case studies of 2D- and 3D-metamorphosis, and in the Dancing Buddhas project particularly, where an animation of Buddha shape transformation to a Chinese character (kanji) was generated. Abstraction hierarchy analysis of flowers was done on the adjunction space and cellular levels with the geometric level implemented and illustrated using HyperFun tools. The application of trimmed implicit surfaces for modeling spiral objects by M. C. Escher was presented. F-rep Home Page presents descriptions of selected research topics, list of publications, images, and animations. HyperFun project provides tools for F-rep modeling using HyperFun language. G. Pasko, D. Kravtsov, A. Pasko, "Real-Time Space-Time Blending with Improved User Control” in a book “Motion in Games” (MIG2010), Lecture Notes in Computer Science, Boulic, Y. Chrysantou, and T. Komura (Eds. ), Springer Verlag , Heidelberg, LNCS 6459, 2010, pp. 146-157. Indexed in Web of Science, Thomson Reuters and Scopus. G. Pasko, Shape Modeling with Some Applications to the Cultural Preservation, Lambert Academic Publishing (LAP), Germany, ISBN 978-3-8383-7963-0, 2010, pp. 148. Proceedings of 5-th International Architecture and Engineering Symposiums "Creating the future", 5-th International Symposium on Electrical and Computer Systems, K.Balasubramanian (Ed. ), A.Cellatoglu, G. Pasko, V.Murugesh, F. Savaroglu, N.Ciftci (Associate Eds. ), ­­­­­­­ European University of Lefke­­­­­­­ , Cyprus, ISBN 978-975-98897-1-5, 2008, 266 pp. B. Schmitt, A. Pasko, G. Pasko, V. Adzhiev, C. Schlick, Chapter "Modelling Function-based Mixed-dimensional Objects with Attributes", in book "Heterogeneous Objects Modeling and Applications", Lecture Notes in Computer Science, vol. 4889, A. Pasko, V. Adzhiev, and P. Comninos (Eds. ), Springer Verlag, Heidelberg, Germany, 2008, pp. 90-117. Indexed in Scopus. E. Malikova, V. Pilyugin, V. Adzhiev, G. Pasko, A. Pasko, Multisensory Scientific Visualization for Multidimentional Scalar Fields Data Analysis in Particular Visual-Auditory Case, Scientific Visualization, http://sv-journal.org/2016-4/index.php?lang=en, vol. 8, No. 4, pp. 15-27. (2016). Indexed in Scopus. E. Malikova, V. Pilyugin, V. Adzhiev, G. Pasko, A. Pasko, Scientific data analysis by the method of extended visualization, Scientific Visualization, http://sv-journal.com/2013-2/03.php?lang=en, ISSN 2079-3537, vol. 5, No. 2, pp. 25-33. (2013). Indexed in Scopus. G. Pasko, A. Pasko, T. Vilbrandt, Lixandrão A. L. Filho, J. V. L. da Silva, Ascending in space dimensions: digital crafting of M. C. Escher’s graphic art, Leonardo, MIT Press, USA, Volume 44, No. 5, October, pp. 411-416. (2011). Indexed in Arts & Humanities Citation Index (AHCI)(Web of Science, Thomson Reuters)and Scopus. C. Vilbrandt, T. Vilbrandt, G. Pasko, C. Stamm, A. Pasko, Digitally interpreting traditional folk crafts, IEEE Computer Graphics and Applications , vol. 31, no. 4, pp. 12-18. (2011). Indexed in Science Citation Index (SCI) – Core (Thomson Reuters) and Scopus, IF5=2.3. O. Fryazinov, P.-A. Fayolle, T. Vilbrandt, G. Pasko, A. Pasko, Feature based volumes for implicit intersections, SMI'11, Computers & Graphics Journal, , Elsevier, vol. 35, No. 3, pp. 524-531. (2011). Indexed in Science Citation Index Expanded (CSI-E) (Web of Science, Thomson Reuters) and Scopus, IF5=0.9. G. Pasko, A. Pasko, T. Vilbrandt, Lixandrão A. L. Filho , J. V. L. da Silva, Digital interpretation of cultural heritage: 3D modeling and materialization of 2D artworks for future museums, The International Journal of the Inclusive Museum, Common Ground Publishing, Champaign, Illinois, USA, Vol. 3, Issue 1, ISSN 1835-2014, pp.63-80. (2010). Indexed in Scopus and Ulrichsweb. G. Pasko, A. Pasko, Computer reconstructions of Escher’s drawings, International Journal of Arts & Sciences (IJAS), USA, ISSN 1944-6934, Vol.3, No.3, pp. 7-12. (2009). Indexed in Ulrichsweb. T. Vilbrandt, C. Vilbrandt, G. Pasko, A. Pasko, Case studies in computer-aided traditional crafts, Computer Graphics & Geometry, NRNU MEPhI, RF, ISSN 1811-8992, http://www.cgg-journal.com, vol, 9, No. 1, pp. 68-80. (2007). G. Pasko, A. Pasko, T. Kunii, "Bounded blending for function-based shape modeling", IEEE Computer Graphics and Applications , , vol. 25, No. 2, pp. 36-45. (2005) Indexed in SCI (Core) and Scopus, IF5=2.3. G. Pasko, A. Pasko, T. Kunii, "Space-time blending", Computer Animation and Virtual Worlds, John Wiley&Sons Ltd., UK, vol. 15, No. 2, pp. 109-121. (2004) Indexed in SCI (Core) and Scopus. G. Pasko, A. Pasko, "Trimming implicit surfaces", The Visual Computer, Springer, USA, vol. 20, No. 7, pp. 437-447. (2004)>, Indexed in CSI-E and Scopus. G. Pasko, A. Pasko, T. Kunii, Methods of shape metamorphosis based on space-time blending, Computer Graphics & Geometry, NRNU MEPhI, RF, vol. 6, No.1 , pp. 1-24. (2004). C. Vilbrandt, G. Pasko, A. Pasko, P.-A. Fayolle, T. Vilbrandt, J. R. Goodwin, J. M. Goodwin, T. L. Kunii, "Cultural heritage preservation using constructive shape modeling", Computer Graphics Forum, Blackwell Pub., Oxford, UK, vol. 23, No.1, pp. 25-41. (2004) Indexed in SCIE and Scopus. T. Kunii, M. Ibusuki, G. Pasko, A. Pasko, D. Terasaki, H. Hanaizumi, "Modeling of conceptual multiresolution analysis by an incrementally modular abstraction hierarchy", Special issue of J. Transactions of Institute of Electronics, Information and Communication Engineers, Oxford University Press, UK, Vol. E86-D, No. 7, pp. 1181-1190. (2003) Indexed in SCI-E and Scopus. G. Pasko, A. Pasko, M. Ikeda, T. Kunii, "Localized blending for exact control of shapes with applications to shape modeling and 2D animation", International Journal of Shape Modeling, special SMI'2002 issue, World Scientific Pub. Co, vol.8, No.2, pp.159-172. (2002) http://www.worldscinet.com/ijsm/08/0802/S02186543020802. Indexed in Scopus, Inspec (Web of Knowledge, Thomson Reuters), Zentralblatt MATH, and Compendex. G. Pasko, A. Pasko, C. Vilbrandt, M. Ikeda, Shape modeling issues of digital preservation of Japanese lacquer ware and temples, Computer Graphics & Geometry, NRNU MEPhI, RF, vol. 3, No. 3, pp. 1-19. (2001). V. Adzhiev,E. Malikova, A. Pasko, G. Pasko, V. Pilyugin, Multidimensional scalar fields data analysis by means of multisensory visualization, The 26-th International Conference GrahiCon2016, NNGASU, Nizhny Novgorod, Russia, pp.142-146, 19-23 September, 2016. E. Malikova, V. Pilyugin, V. Adzhiev, G. Pasko, A. Pasko, Scientific visualization extended with sonification for data analysis (Short paper), Proceedings of the International Conferences Interfaces and Human Computer Interaction, Game and Entertainment Technologies 2014 and Computer Graphics, Visualization, Computer Vision and Image Processing CGVCVIP 2014 (MCCSIS), IADIS Press, Lisbon, Portugal, July, 2014, pp. 348-352. Indexed in Thomson ISI, INSPEC, EI Compendex, ISTP. G. Pasko, D. Kravtsov, A. Pasko, Space-time blending with improved user control in real-time, Article No.38 (Technical Sketch), ACM SIGGRAPH Asia 2010, Seoul, Korea, ISBN 978-1-4503-0523-5, December 2010. Indexed in Scopus. G. Pasko, O. Fryazinov, T. Vilbrandt, A. Pasko, Bounding volumes for implicit intersections, Article No.40 (Poster), ACM SIGGRAPH Asia 2010, Seoul, Korea, ISBN 978-1-4503-0524-2, December 2010. Indexed in Scopus. G. Pasko, D. Kravtsov, A. Pasko, Real-Time Space-Time Blending with Improved User Control, The 3-d International Conference on Motion in Games MIG10, Zeist, The Netherlands, November, 2010, Lecture Notes in Computer Science, Eds. :Boulic, Y. Chrysantou, and T. Komura, Springer, Heidelberg, LNCS 6459, pp. 146-157, 2010. Indexed in Scopus. G. Pasko, A. Pasko, Art-inspired modeling and visualization; 14-th International Conference on Vision, Modeling, and Visualization VMV'09 in cooperation with Eurographics Association, Braunschweig, Germany, M. Magnor, B. Rosenhahn, H. Theisel (Eds. ), Published by Institute fur Simulation und Graphik, Magdeburg, Germany, ISBN 978-3-9804874-8-1, pp. 389-390, 2009. G. Pasko, Controlled shape blending in space and time, 5-th International Symposium on Electrical and Computer Systems, European University of Lefke, Cyprus, pp. 179-190, 2008. G. Pasko, Digital cultural preservation and three-dimensional shape modelling, 5-th International Symposium on Electrical and Computer Systems, European University of Lefke, Cyprus, pp. 167-178, 2008. T. Vilbrandt, C. Stamm, A. Pasko, G. Pasko, Wise bits: digital preservation and current three-dimensional modeling technologies, World Archaelogical Congress WAC-6, University College Dublin, Ireland, p. 100, 2008. G. Pasko, A. Pasko, Function-based shape modeling for cultural heritage applications, The e-volution of Information Communication Technology in Cultural Heritage, Joint event CIPA/VAST/EG/EuroMed, Short papers, M. Ioannides, D. Arnold, F. Niccolucci, K. Mania (Eds. 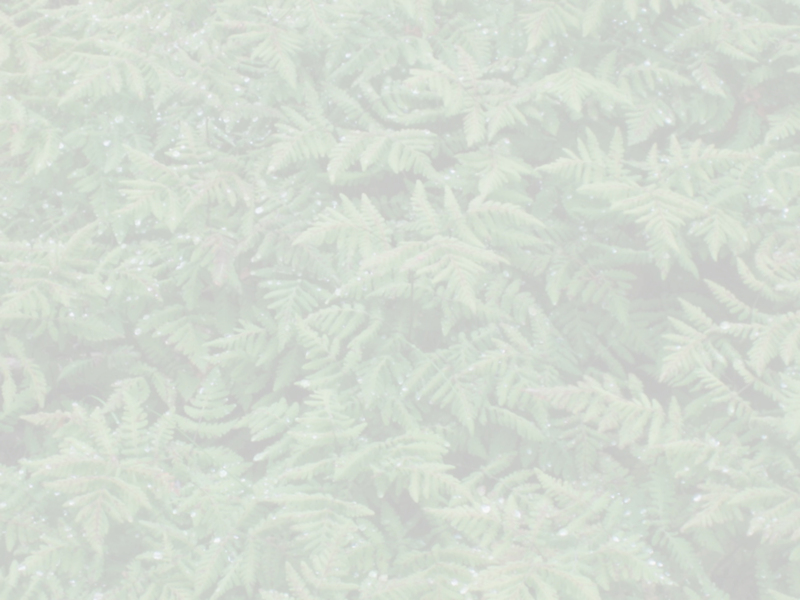 ), EPOCH publication, pp. 153-158, 2006. T. Vilbrandt, C. Vilbrandt, G. Pasko, A. Pasko, Modeling and digital fabrication of traditional Japanese lacquer ware, The e-volution of Information Communication Technology in Cultural Heritage, Joint event CIPA/VAST/EG/EuroMed, Project papers, M. Ioannides, D. Arnold, F. Niccolucci, K. Mania (Eds. ), EPOCH publication, pp. 276-279, 2006. G. Pasko, A. Pasko, T.Kunii, Ternary blending operations, 21-st European Workshop on Computational Geometry, Technische Universiteit Eindhoven, the Netherlands, pp. 143-145, March, 2005. B. Schmitt, G. Pasko, A. Pasko, T. Kunii, Rendering Trimmed Implicit Surfaces and Curves, African Graphics Association Conference Afrigraph 2004, South Africa, ACM SIGGRAPH, pp. 7-13, November, 2004. Indexed in Scopus. G. Pasko, T. Nieda, A. Pasko, T. Kunii, Space-time Modeling and Analysis, 20th Spring Conference on Computer Graphics SCCG'2004, Budmerice, Slovakia, ACM SIGGRAPH, ISBN:1-58113-914-4, pp. 13 – 20, April, 2004. Indexed in Scopus. G. Pasko, A. Pasko, M. Ikeda, T. Kunii, Advanced metamorphosis based on bounded space-time blending, 10-th International Multimedia Modeling Conference MMM 2004(Brisbane, Australia), Ed. Y. -P. Phoebe Chen, IEEE Computer Society, pp. 211-217, January, 2004. Indexed in Web of Science, Thomson Reuters and Scopus. C. Vilbrandt, G. Pasko, A. Pasko, P.-A. Fayolle, T. Vilbrandt, Alternatives to metadata for cultural heritage objects, International Conference CIDOC/ADIT-2003 (Electronic Potential of a Museum: Stimuli and Restrictions, Achievements and Problems), Russia, pp. 86-87, September, 2003. C. Vilbrandt, G. Pasko, T. Vilbrandt, P.-A. Fayolle, M. Kazakov, V. Adjiev, A. Pasko, Reverse construction of cultural heritage, STAR report, International Conference GraphiCon03, Russia, pp. 22-29, August, 2003. G. Pasko, A. Pasko, M. Ikeda, T. Kunii, 2D shape transformation using 3D blending, Proceedings of MMM 2003, 9-th International Conference on Multimedia Modeling (Taipei, Taiwan), Tamkang University, pp.390-401, January, 2003. G. Pasko, A. Pasko, M. Ikeda, T. Kunii, Bounded blending operations, Shape Modeling International 2002, Banff (Canada), IEEE Computer Society, pp. 95-103, May, 2002. Indexed in Web of Science, Thomson Reuter and Scopus. J.R. Goodwin, J.M. Goodwin, A. Pasko, G. Pasko, C. Vilbrandt, Dancing Buddhas: new graphical tools for the presentation and preservation of cultural artifacts, Virtual Systems and Multimedia Conference VSMM'01 (University of California Berkley), IEEE Computer Society, pp.345-352, October, 2001. Indexed in Web of Science, Thomson Reuters. C. Vilbrandt, A. Pasko, G. Pasko, J.R. Goodwin, J.M. Goodwin, Digital preservation of cultural heritage through constructive modeling, International Cultural Heritage Informatics Meeting ichim01 (Milan, Italy), D. Bearman and F. Garzotto (Eds. ), vol. 1, pp. 183-200, September, 2001. G. Pasko, A. Pasko, C. Vilbrandt, T. Ikedo, Virtual Shikki and Sazaedo: shape modeling in digital preservation of Japanese lacquer ware and temples, Spring Conference on Computer Graphics SCCG'2001 (Budmerice, Slovak Republic), R. Durikovic, S. Czanner (Eds. ), IEEE Computer Society, pp. 147-154, April, 2001. Indexed in Web of Science, Thomson Reuters. The above listed papers have more than 200 independent citations in international journals and conferences. Round table of the seminar "The training needs of the nuclear industry", BITE, London, UK, July, 2011. G. Pasko, Modern trends in modelling for Computer Animation, Research Seminar, BITE, London, UK, June, 2011. O. Fryazinov, P.-A. Fayolle, G. Pasko, T. Vilbrandt, A. Pasko, Feature based volumes for implicit intersections, Shape Modeling Internatioanal SMI'11, Herzliya, Israel, June, 2011. G. Pasko, D. Kravtsov, A. Pasko, Real-Time Controlled Space-Time Blending, Video, Multimedia Program, ACM SIGGRAPH Asia 2010, Seoul, Korea, December, 2010. G. Pasko, A. Pasko, 3D Computer Reconstructions of 2D Images for Virtual Museums, The 3-d International Inclusive Museum Conference, Yildiz Technical University, Istanbul, Turkey, June-July, 2010. T. Vilbrandt, G. Pasko, C. Vilbrandt and A. Pasko, Digital preservation of traditional crafts and three-dimensional modeling technologies, International Journal of Arts & Sciences Conference, Gozo, Malta, February, 2010. G. Pasko and A. Pasko, Computer reconstructions of Escher’s drawings, International Journal of Arts & Sciences (IJAS) Conference, Gottenheim, Germany, November, 2009. G. Pasko, Cultural Heritage Preservation and 3D Shape Modelling, Invited talk, National Research Nuclear University MEPhI, Russian Federation, June, 2009. G. Pasko, From Implicit Surfaces to Heterogeneous Objects, Invited talk, Seoul National University, Republic of Korea, June, 2008. A. A. Pasko , T. Vilbrandt, C. Vilbrandt, G. Pasko, T. Someya, Desktop Manufacturing from Easily Transmitted High Resolution Digital Files and its Application Case Studies, Technical Report HCIS-2006-01, Hosei University, Tokyo, Japan, 2006, 10 pp. G. Pasko, T.L. Kunii, Function-based Shape Modeling for Cultural Heritage Applications, Poster, Conference CD of Graphite 2005, 3rd International Conference on Computer Graphics and Interactive Techniques in Australasia and Southeast Asia, Dunedin, New Zealand, November – December, 2005. C. Vilbrandt, J.R. Goodwin, J.M. Goodwin, A. Pasko, G. Pasko, Musdi B. H. Shanat, Archaeological Reconstruction and Open Source Software, Proc. of the 2nd Italy-USA workshop "The reconstruction of the archaeological landscapes through digital technologies" Rome, November 2003, BAR series S1379 2005 (Oxford), Archaeopress, Berkeley, USA, May, 2005, ed. Maurizio Forte, ISBN 184171819X. C. Vilbrandt, J.R. Goodwin, J.M. Goodwin, A. Pasko, G. Pasko, Musdi B. H. Shanat, Function Representation and HyperFun: Open Source Tools for Digital Preservation, Electronic Cultural Atlas Initiative Panel Computer Applications to Archaeology, Italy, May, 2004. C. Vilbrandt, J.R. Goodwin, J.M. Goodwin, A. Pasko, G. Pasko, Musdi B. H. Shanat, Function Representation and HyperFun: proposed tools for solving the problem of digital persistence, Congress of Cultural Atlases: The Human Record, Electronic Cultural Atlas Initiative (ECAI), University of California, Berkeley, 2004. C. Vilbrandt, A. Pasko, G. Pasko, J.R. Goodwin, J.M. Goodwin, Shape Modeling Styles and Standards in Digital Preservation of Cultural Heritage, 1-st International Workshop on Digital and Academic Liberty of Information DALI 2001, University of Aizu, Japan, 2001. Selected haiku in Renguru, Haikumena(onna), Haiku Poetry almanac, Russian Institute for Cultural Research, 1-2 issues, Moscow, 2003-2004. Selected haiku in Ulitka (onna), on-line magazine, issue 2, 2006(in English&in Russian). Member of the ACM's Committee on Women in Computing, 2009-2016. TPC member, The 2017 International Conference on Economics, Management Engineering and Marketing, Xiamen, China, October 20th-22nd, 2017. IPC member, The 5th&6-th&7-th&8-th IEEE International Conference on Intelligent Human Computer Interaction 2013&2014, Sydney, Australia, Dec, 2013 & Evry, France, Dec, 2014 & Allahabad, India, Dec 2015 & Rajasthan, Pakistan, Dec 2016. IPC member, International Computer Graphics, Visualization, Computer Vision and Image Processing Conference IADIS CGVCVIP(MCCSIS), 2008-2016. Reviewer, International Computer Graphics Conferences CGI'14, Sydney, Australia, June, 2014. Reviewer, International Conference in Central Europe on Computer Graphics, Visualization and Computer Vision, University of West Bohemia, Pilsen, Czech Republic, 2008&2009&2011&2013&2014. TPC member, PATTERNS, International Conference on Pervasive Patterns and Applications: Valencia, Spain, 2013 & Venice, Italy, 2014. IPC member, 15-th International Conference on Humans and Computers (HC-2012) University of Aizu (Aizu-Wakamatsu, Japan), the University of Shizuoka (Hamamatsu, Japan), and University of Applied Sciences (Duesseldorf, Germany), February, 2013. Managing editor (Books), Computer Science, Versita, 2012. Reviewer, CGI'12 , Computer Graphics International Conference, Bournemouth University and the NCCA, Bournemouth, UK, June, 2012. Reviewer, Leonardo Journal, MIT Press, USA, 2011-2012. Reviewer, The 4th ACM SIGGRAPH Conference and Exhibition on Computer Graphics and Interactive Techniques in Asia, Hong Kong, December, 2011. IPC member, the 14-th International Conference on Humans and Computers (HC-2011), Shizuoka University, Hamamatsu, Japan, December, 2011. Reviewer, International Computer Graphics Conferences CGI'11, Ottawa, Ontario, Canada, June, 2011. Reviewer, Book: "Speech, Image and Language Processing for Human Computer Interaction: Multi-modal Advancements", Eds: U. Sh. Tiwary & T. J. Siddiqui, IGI Global, 2011. Reviewer, International Journal "Scientific Visualization", ISSN 2079-3537, NRNU MEPhI, Moscow, Russia, December, 2010. IPC member, the 13-th International Conference on Humans and Computers (HC-2010), University of Aizu, Aizu-Wakamatsu, Japan; Shizuoka University, Hamamatsu, Japan; Düesseldorf University of Applied Sciences, Germany; December, 2010. Reviewer, SIGGRAPH Asia 2010, Seoul, Korea, December, 2010. IPC member, the 7-th Yangtze Delta Science and Technology Forum – The First International Workshop on Digital Museum of Science and Technology (DMST 2010), Jiaxing City, Zhejiang Province, P. R. China, November, 2010. Associate Editor of The International Journal of the Inclusive Museum, Vol.3 , CGPublisher, ISSN: 1835-2014, May, 2010. Reviewer, the 26-th International Spring Conference on Computer Graphics SCCG'2010, Budmerice, Slovak Republic, May, 2010. Scientific and organizing committee member, 6-th International Symposium on Electrical and Computer Systems, European University of Lefke, Gemikonagi, Cyprus, November, 2010. Reviewer, 2-nd IEEE International Conference on IHCI 2010, IIIT Allahabad, India, January, 2010. Member of International Advisory Committee, 2-nd IEEE International Conference on IHCI 2010, IIIT Allahabad, India, January, 2010. Reviewer, "Computers and Graphics" Journal (Elsevier) and SMI2009, Shape Modeling International Conference, Tsinghua University, Beijing, China, June, 2009. Reviewer, IHCI 2009, The 1-st International Conference on Intelligent Human Computer Interaction, Indian Institute of Information Technology, Allahabad, India, Januaury, 2009. Member of the Board of Reviewers, Journal of WSCG, ISSN 1213-6972, Czech Republic, 2008-2009. Deputy Editor-in-Chief, International Journal Computer Graphics & Geometry", 2006-2008. Scientific and organizing committee member, session chair, 5-th International Symposium on Electrical and Computer Systems, European University of Lefke, Gemikonagi, Cyprus, November, 2008. IPC member, International Conferences on Humans and Computers HC'07&'08: Duesseldorf, Germany; Aizu-Wakamatsu – Tokyo, Japan, December, 2007; Nagaoka University of Technology, Nagaoka, Japan, November, 2008. IPC, scientific and organizing committee member, The 16-th World Conference INFORUM 2008, Interindustry Forecasting Project, European University of Lefke, Cyprus, August - September, 2008. Member of the scientific committee of the International Conference “Computer Graphics and Visualization - CGV2008”, IADIS Multi Conference on Computer Science and Information Systems (MCCSIS 2008), Amsterdam, Netherlands, July, 2008. IPC member, DMAMH07, 2-nd International Workshop on Digital Media and its Applications in Museum and Heritage, Chongqing, China, December, 2007. Organizing committee member of conferences Shape Modeling International '97 and '99, University of Aizu, Aizu-Wakamatsu, Japan. Organizing committee member of conference Computation for Metaphors, Analogy and Agents`98, University of Aizu, Aizu-Wakamatsu, Japan. 1994-2006 Diploma of ikebana instructor of Ryuseiha School, Aizu -Wakamatsu/ Tokyo, Japan (first level, applied). Participant of annual workshops and exhibitions of the Ryuseiha School in Aizu-Wakamatsu and Tokyo, Japan.